A choice Major Duncan Campbell made one night in 1747 sealed his fate. The major was an officer in the Scottish 42nd—Highland—Regiment. This group of soldiers was a fierce fighting force known as the Black Watch. 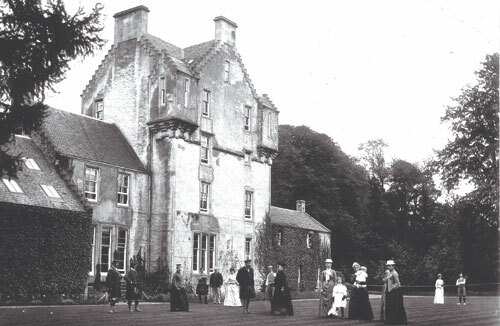 Duncan Campbell was the Laird of the Scottish house of Inverawe. The legend states one night a desperate man with blood on his hands and kilt came knocking at his door. He begged the laird for sanctuary. Duncan swore on the ceremonial dirk at his side that he would shelter the man. This oath was not taken lightly for Highland lairds were duty bound by their promises. Fate took a dark twist when just hours later a group of men showed up at Inverawe to inform Duncan a highwayman had murdered his cousin, Donald Campbell. The men informed the laird they had seen this man head toward Inverawe. Duncan duty bound by a “sacred oath of protection” had no choice but to protect this man from the gang that stood at his door—so he told them he knew nothing. Later that night he was awakened from his dreams by an awful moaning. When he opened his eyes he saw the ghost of his cousin Donald, standing at the foot of his bed. Donald’s ghost appeared several more nights pleading with Duncan to hand over the murderer. Duncan conflicted confronted the killer but remembering his promise he had to back down. This name held no meaning for Duncan and as the years passed he forgot these words. That is, until 1788 when the Major’s regiment was sent by the British Crown to help fight the French and Indian War in the Colonies. The Major and his men marched north from Albany, New York to attack the French controlled Fort Carillon—later named Fort Ticonderoga—on Lake Champlain. On the eve of this battle that occurred on July 8th Donald Campbell’s ghost once more visited Major Duncan Campbell in his tent. He told Duncan that he soon would pay for his betrayal. The battle the next morning was the bloodiest of the war. There were more than 3,000 casualties. 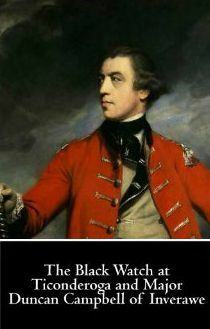 The Black Watch suffered the most of any unit on either side. Over 200 men of the 1,000 Scots that fought were killed. Over 250 were wounded—including Major Campbell. On it Inverawe is spelled wrong. He suffered a flesh wound to his arm but this wound festered and turned gangrene. Nine days after the battle Major Duncan Campbell died. When the Scottish author Robert Louis Stevenson was fighting Tuberculosis in the late 19th century in the Adirondacks of New York he heard the tale of Major Duncan Campbell. In December of 1887, he published a poem entitled Ticonderoga, a Legend of the West Highlands in Scribner’s Magazine. His poem quickly became popular around the world. Here is a link to this poem. In it he misnames Duncan Campbell—Duncan Cameron. Now this is my kind of app . 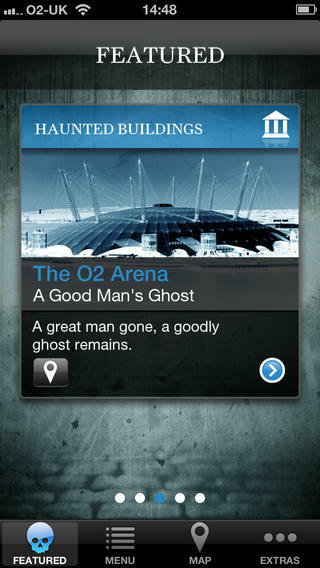 . .
Make it Digital Ltd has created a very fun app for those interested in haunted spots in London. This app can be bought in the iTunes app store for 99 cents. 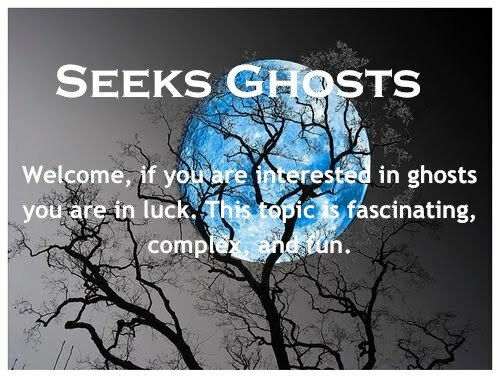 The first thing that pops up is a “Featured Haunted Location” where the user can read a short overview of one haunted spot in London. This app highlights the ghosts from London’s darker past and provides short descriptions and stories about each haunting. Its main menu lists various haunted locations, which include: Possessed Pubs, Ghostly Graveyards, Haunted Buildings, Jack The Ripper and Haunted Underground—the Tube. One of my favorite sections highlights the various sections along the London Underground where ghostly activity has been reported. Under each description is a “Report a Disturbance” button where the user can report activity on the apps’ Facebook or Twitter accounts. The app also has an ”Extras” section where users can find spooky sounds with sound effects or suggest a story that should be included on the app. This is a great way to experience a virtual tour of London’s haunted hot spots. The developers of this app also have a “Haunted Edinburgh” app that is available for purchase on iTunes. These two apps can be found here. When Brien Sykes a 35-year-old massage therapist moved into his Burien, Washington apartment dealing with an unwanted roommate was the last thing on his mind. The building that housed his new home was built in the 1940s. The first odd activity that Sykes noticed involved his cat, Sam. 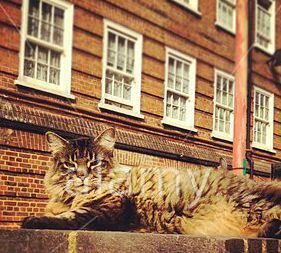 When Sykes left for work he always locked his cat into his apartment but within weeks of moving in he would return home to find his cat outside. Perplexed as to how his cat managed to get outside Sykes started to put barriers at his door and made sure the apartment’s windows were shut tight. But when he returned home he found these barriers undisturbed and he continued to find Sam outside waiting for him. 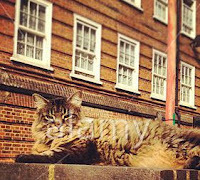 He then began to shut his cat in his bathroom with he left but every time he came home he found him outside the apartment building. It dawned on him something otherworldly was occurring. With the onset of strange noises and items being moved Skye concluded he must be living with a ghost. Several months after he moved in, he had several friends from work over. As they sat talking they all heard footsteps heading down the hallway to his apartment’s door. When Sykes went to greet the new arrival no one was there. He reluctantly admitted to his friends that the apartment was haunted and what they heard was probably his ghostly roommate. He went on to explain that he was not afraid because he never felt threatened. One reason was because the ghost liked to do housework. If he left his bed unmade he would return to find it made. If he fell asleep with dirty dishes in the sink he would find them in the morning washed, dried and put away. Sykes was so comfortable with his unusual roommate when he moved to a new apartment he invited the ghost to come with him. But this didn’t happen and he now complains he has to do his own dishes. 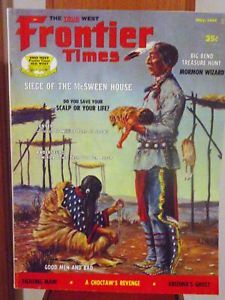 The stories about Grey Robe and why the Navajo’s believe in him were highlighted in the May 1969 edition of Frontier Times in an article written by John R. Winslowe. In Robert F. Turpin’s 2014 book, Old West Ghost Legends he includes a chapter on stories that have been told about encounters with Grey Robe. In more recent times some Navajos have referred to Grey Robe as a “good spirit.” But traditionally, he was never referred to as what other cultures call a ghost. Instead, the Navajo considered him simply a mysterious entity or benefactor that saved many Native American lives. All the sightings of him occurred in the Red Valley near Tuba City in Arizona. Descriptions of Grey Robe state he glides instead of walking, his facial features are rarely seen and some accounts state his form when seen was surrounded by a grey mist or fog. He is seen wearing a grey robe tied at the waist with a cord—hence his name. Witnesses state he never talks instead he points or gestures. This entity was first seen in the early 1800s and reports of encounters continued into the late 1940s. He is credited with saving lost children, an isolated crippled woman who had fallen and a boy that broke his leg on a remote ridge. It also is stated Grey Robe warned many people of impending dangers—such as washed out roads and flood waters heading their way. It is said he led a sheepherder to water during a drought so he would not lose his flock. One Navajo named Black Hat who was new to the Red Valley in north-central Arizona had never heard the stories about the mysterious Grey Robe when he encountered him. He was traveling through the valley when his horse slowed down and perked up his ears. He saw a grey figure up ahead standing near the trail he traveled. The shadowy figure did not speak but instead motioned for him to follow him. Black hat noticed the figure made no sound as he moved through the sagebrush—his body appeared to float instead of walk. Several hundred yards further down the trail the figure stopped and turned toward Black Hat. It then pointed toward a rocky ridge in the distance. As Black Hat turned back he saw the figure slowly fade away. He realized this encounter had not scared him but instead he felt a feeling of serene kindness settle over him. Black Hat headed to the rocky ridge where he found an unconscious Indian boy. He saw that the boy’s leg was broken in several places. He gathered dry brush and made a signal fire. It wasn’t long before a party of Navajos rode in. They lived nearby and had seen the fire. It was discovered later that the boy had been thrown from his pony when a rattlesnake frightened it. If Black Hat had not found the boy he would have died. The other Indians asked him how he had happened upon the boy since the ridge was quite a distance from the trail he traveled. Black Hat hesitated and then told then about the grey figure. The others seemed not to be surprised by his description—especially the part where he stated the figure wore a grey robe and was faceless. The elder of the group nodded and said. “It was Grey Robe.” He then told Black Hat about the friendly spirit that helps the Navajo people. This legend is not lost today for the Navajos remember the stories about Grey Robe fondly. Historical Museum Ghosts: Caught on Camera?